Tent Hut is a veteran-owned non-profit organization that rebuilds veteran drifters by restructuring the warrior mindset and reinforcing their expertise to build empowered leaders. We aim to empower veterans through comprehensive supportive services and housing programs that will lead them to a clear transitional path. 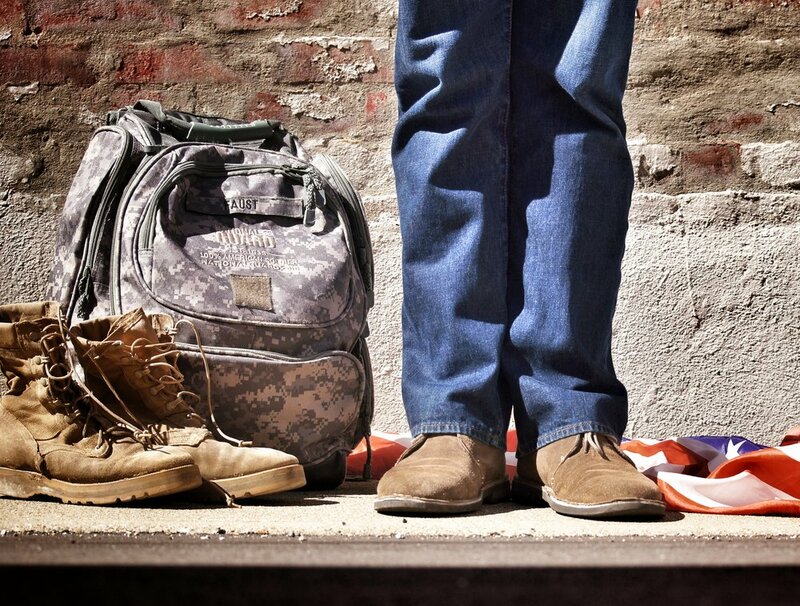 It is our mission to REBUILD a veteran’s sense of purpose and mission driven attitude. We aim to RESTRUCTURE the warrior mind to better adapt to different environments. It is important for us to REINFORCE our military core values with every veteran that crosses our path. Over 700 housing vouchers are not being used due to the significant lack of affordable housing and landlords unwilling to accept these vouchers. TentHut aims to impact the lives of thousands of veterans across Los Angeles County and surrounding areas with their comprehensive programs. Wherever you fit in the local entrepreneurial ecosystem, whether you are a veteran entrepreneur, a local investor, a local co-working space, a potential mentor to Bunker Labs companies…etc. – the best way to get involved with Bunker Labs is to attend a Bunker Brews and meet your local city leader. Cammies & Canines aims to help homeless veterans transition towards being employable again and living a purpose-driven life by providing sober-living housing, structure and discipline, veteran-to-veteran support, and of course canine companionship. A civilian’s dive into the successes and challenges of life after military service hosted by Alexandra Jacques. TentHut wants to empower veterans through comprehensive supportive services and housing programs that will lead them to a clear transitional path. These are their stories. We would love to feature as a guest on our Meal With A Vet podcast. We record our podcast at WeWork in Century City. Please complete the form below if you’re interested in telling your story! Our podcast host Alexandra will receive your information and be in touch with you on next steps. Thank you for your interest in being on Meal With A Vet - we will be in touch soon! We are currently developing our comprehensive programs and curriculum to empower veteran drifters and guide them on a successful path. We will have more information on this in the near future. Want to stay informed? Let us know. Tent Hut’s mission to house “Veteran Drifters” in affordable communities, while offering them access to the wraparound services and the supportive structure that they had in the military, is vital and desperately needed. Tent Hut’s proactive approach will undoubtedly improve the lives of so many of those who have served our country and asked for nothing in return. A civilian's dive into the successes and challenges of life after military service hosted by Alexandra Jacques. We are always looking for more veterans to connect with. Serve the Los Angeles community and nurture inspirational veteran leaders who can be prime examples for others to follow. Tent Hut has identified the need for more housing units for veterans and feels the urgency to get to work on filling that gap.